Since 2007 Tiburon-TV spotlights European Startups from the Internet and Mobile Scene. 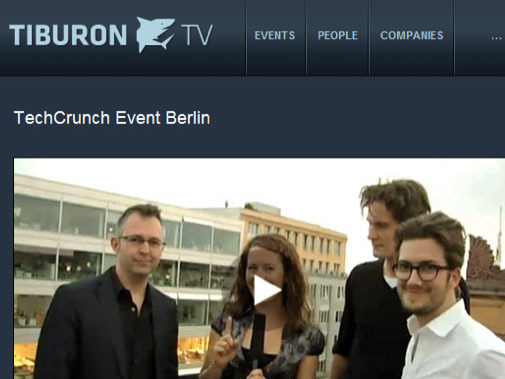 Tiburon-TV promotes the European Startup Scene by presenting interviews with players from European Internet, Mobile, Entertainment and Media companies. The goal is to share ideas, insights and learnings – to inspire people to realize their own business ideas and visions. We want to promote European ideas and the European entrepreneurial spirit – providing them a higher reputation above local frontiers.